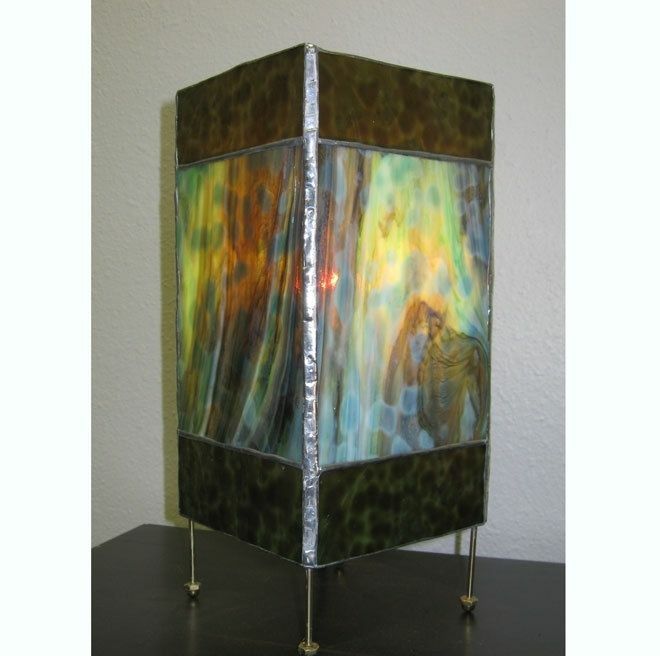 This stained glass boxed lantern is made from four stained glass panels (5" x 9.5") that are then soldered together, attached to brass rods and wired. 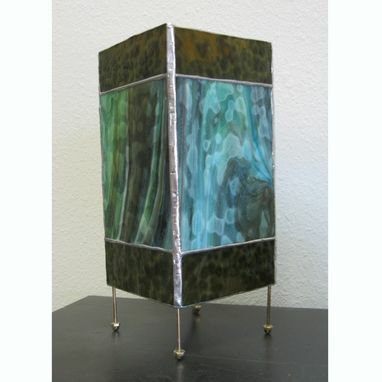 The panels are made from two coordinating shades of green mottled glass, giving the lantern both texture and interest. The cool greens of the panels are warmed to a stunning glow when the lantern is lit. Lamps can be made to order; contact me to discuss design and pricing.